Card sorting is a common technique in information architecture for developing the organization of menu labels or categories on websites. It would thus seem to be a very suited methodology for developing all kinds of taxonomies, but in actual practice card sorting is not utilized for most taxonomy projects, at least not in my experience. Card sorting gets its name from the paper-based approach of having numerous category or concept names written down each on a small index card, and then the cards can be sorted on a table into logical categories. Multiple stakeholders and/or test users are given the opportunity in turn to organize the cards as they deem appropriate, and the person administering the card sort, takes note of the choices and considers them for the actual organization structure. Today, card-sorting software, especially that which is web-based to allow remote access, has largely replaced the physical cards. There are two variants to card-sorting exercises, the open card sort and the closed card sort. In an open card sort, participants sort the labeled cards in any groupings they see fit and then they assign their category groups with any group name they want. In a closed card sort, the participants are already presented with a set of named top category groups that they cannot change, and are asked to sort the labeled cards into the pre-assigned categories. Each type of card sort has distinct objectives and is suited for different stages of the project. Open card sorting is a good way to get a new taxonomy from scratch off the ground when you have some concepts (extracted from the content) and don’t know how to organize them. However, this is increasingly no longer the scenario. It’s rare to start creating a taxonomy from scratch with no other reference for top categories. There are so many taxonomies in existence now for all subjects, that it’s easy to find a starting point as a model. Furthermore, the owner of a taxonomy may have already designated the top categories for business reasons. The aim of closed card sorting is to determine in what broader category narrower categories belong, especially if there is uncertainty. But if a narrower category could rightfully belong under more than one category, rather than force a choice between one or the other based on a card sort, the subcategory could belong under both. This is what taxonomists call “polyhierarchy,” and it acceptable as long as the hierarchy is sound and valid in both locations. Thus, closed card sorting is only needed when you have decided you do not want polyhierarchy. Polyhierarchy is generally a good thing, because it provides more than one navigation path to the same results, and different people choose different paths. Sometimes, however, polyhierarchy is avoided near the top levels of a taxonomy in order to maintain a sense of tree structure. Card sorting is most practical for just two levels of hierarchy: concepts and their immediate parent categories. It’s possible but unwieldy to suggest to users that they may create three levels, and some card sorting software does not even allow it. Often it is more reliable to just run a second series of card sort testing for another hierarchical level in the taxonomy. However, running multiple card sort exercises for different hierarchical branches of a taxonomy can be quite impractical, if not also costly and time-consuming. Finally, card sorting works only for traditionally hierarchical taxonomies. It does not work for faceted taxonomies, where terms from different facets/attributes are selected in combination to limit or filter search results. Faceted taxonomies are becoming increasingly common. Card sorting continues to be useful for information architecture, though. When designing the structure of a website and its main and submenus, it can be difficult to decide what the categories should be, because the content of a site can be unique or nonstandard. Additionally, polyhierarchy is not expected in submenus and could be confusing. Finally, website navigation is often not deeper than two or three levels, unlike many taxonomies that are often four or five levels deep and thus impractical to thoroughly design or validate with card sorting. Nice posting you share here. But could you please clarify when we don't want to develop polyhierarchies, so avoid using closed card sorting, then that mean we have to use open card sorting if we want to develop polyhierarchy/faceted hierarchy? How can we create Faceted Hierarchy that suit with polyhierarchy? and then, which card sorting category it just can be used to develop 2 or 3 levels? is it open card sorting or closed card sorting? 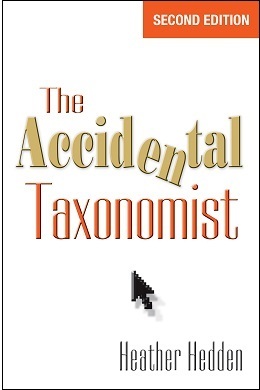 You may not want polyhierarchies if the taxonomy is small or if your taxonomy management system does not support it. For example, the SharePoint Term Store does not support polyhierarchies. You could have polyhierarchy in a faceted taxonomy, if one of the facets were rather large and had a hierarchy within it. Both open and close cards sorts can be used for developing 2 levels of hierarchy. For a 3rd level, I suggest running another, separate card sort exercise. I suppose you could try sorting 3 levels at once if the first level was a close card sort, by default making the second level and open card sort, but I think it might be too confusing to the users.